This is a “sticky” setting. 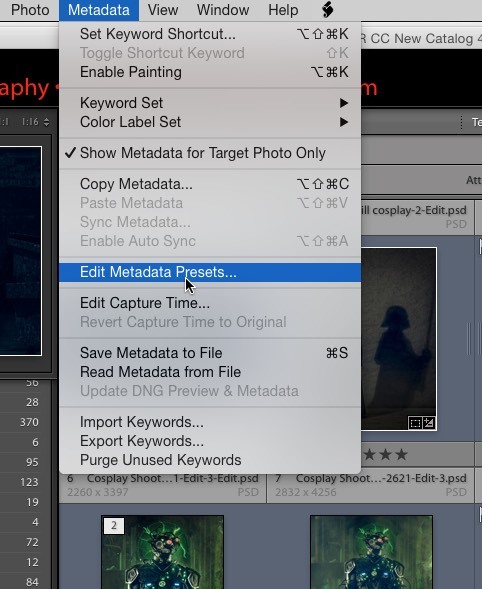 That is, Lightroom will remember your choice on your next import, so you don’t need to set it every time. 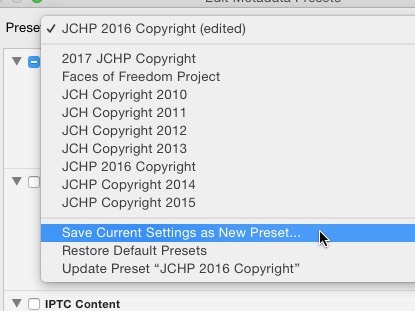 (It’s good to confirm it, but you shouldn’t have to reset it on each import). It’s also a good time to double-check your date / time settings on your cameras. 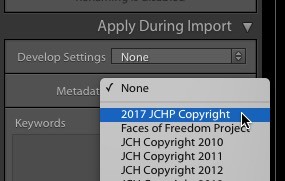 Mine embed actual copyright information, so I had to update the date of the copyright statement on each camera — not just the date / time settings. Not the most important New Years resolution you’re likely to make this year, but it’s a good start! This entry was posted in Instruction / Tutorial. Bookmark the permalink.